It is also known as Sattila ekadasi, Tilde ekadasi and Magha Krishna Ekadasi. Sattila ekadasi occurs on the 11th day of Krishna paksha during the month of paush or Magha (January to february in Gregorian calendar). Reason behind the name of Shattila ekadasi? ‘Shat’ means six, ‘til’ means sesame seeds. On this shatilla ekadasi day the til is used in 6 different days. The use of sesame seeds (til) on this day is considered auspicious as it has religious and spiritual benefits. On Shattila ekadasi day followers donate food to the poor and pray to Lord Vishnu. Check here for the story of Sattila ekadasi. 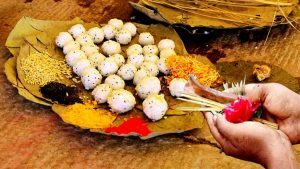 On observing the Shattila ekadasi Vrat the devotees are blessed with prosperity, wealth in abundance, health and primarily the devotees who fast on this day and offer food to poor will never run out of food in their life. They also attain salvation are freed from the continuous cycle of birth. 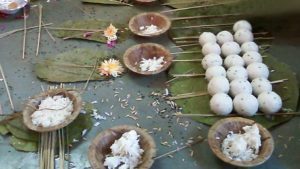 Devotees who donate sesame seeds on shattila ekadasi are liberated from sins that were committed knowingly or unknowingly in their past and present lives. More over by offering sesame seeds mixed in water can provide solace to their dead ancestors. Know the 2018 Ekadasi dates.